If you are willing to buy a quality home in Bangalore, have a look at property in Pattandur Agrahara Bangalore. The demand for homes in the IT capital of the country has always high. You can get an apartment here and live up to your housing dreams. The residential complexes come with sophisticated apartments, loaded with a wide range of amenities. You can buy 2, 3 and 4 BHK apartments in these estates and enjoy the living infrastructure. The location advantage of the area is one of the key reasons behind the high demand for property here. The important IT hubs of the country are located close to the residential complexes in the area. 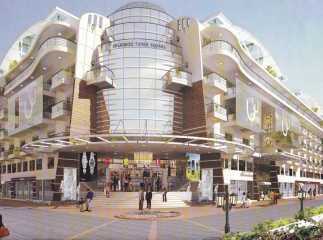 You can also have a look at the commercial space in Pattandur Agrahara Bangalore. The prices of residential complexes in Bangalore are rising. You may be interested in the ready to move projects in Pattandur Agrahara Bangalore. This is the right time to buy these apartments. Get a quality home in Bangalore and enjoy the comfort, while you reside close to the commercial zones.